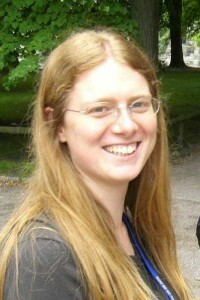 Giulia Festa received a PhD in Physics from the University of Rome Tor Vergata in 2009. She is an experimental physicist at Centro Fermi in Rome (Italy) and her research focuses on the development and application of advanced neutron techniques for the study of cultural heritage artefacts and materials at the nanoscale. These techniques include Diffraction, Gamma Spectroscopy, Neutron Resonance Analysis and Imaging. Currently she is member of the team participating in the design and development of a novel technique, i.e. Time of Flight Prompt Gamma Activation Analysis (T-PGAA), and related methods at the ISIS Spallation Neutron Source (UK). She is serving as a referee for several international journals and co-editor of a book, Neutron Methods for Archaeology and Cultural Heritage (2017).